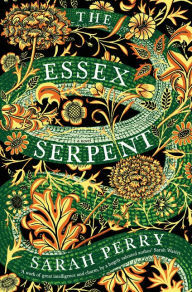 With the amount of praise and publicity Sarah Perry's The Essex Serpent has been getting, I was fully expecting one of those rare "unputdownable" books. While much of this Victorian era novel didn't quite work to grab my attention, I certainly admire Perry's gorgeous writing style and thorough effort on researching. These factors contribute to me having something an unbiased reviewer should never have: guilt in giving a lower rating to a book that obviously was written with the utmost care. The cast of characters are a motley crew, led by Cora, a widow who doesn't quite act in the way you would expect, and William, a parson who grows close to her. I found both of these people almost unbearably dull; the supporting characters are often so much more interesting than the leads. It is rumored that the Essex Serpent has returned to the local village, and this is the plot point that all the various storylines revolve around. 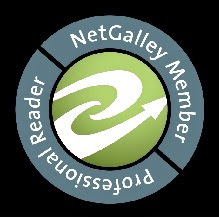 When the reader finally gets a resolution to whether or not the serpent is real, it feels like a letdown, for that really doesn't seem like what this novel is about after all. In my opinion, The Essex Serpent is one of those books that you either loved or...didn't. For me, it definitely didn't live up to the high expectations I had before reading it. 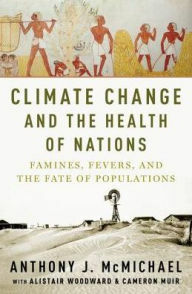 Climate Change and the Health of Nations was written by Anthony J. McMichael and published after he passed away in 2014. McMichael was an epidemiologist at Australian National University and spent a significant amount of his career researching the impact of climate change on human health. His work is a remarkable historical reflection of that but sadly doesn’t finish up what was started due to his death. The author spends much of his book noting the historical ebb and flow of Earth’s climate, its significance on life, and the impact that disease and illness have had on populations over the era of human existence. McMichael ties in natural fluctuations in climate to changes in agricultural productivity during human existence and how they impacted disease spread. As an example, the spread of Bubonic Plague in the 6th and 14th centuries was tied directly to temperature changes that occurred in various parts of the world, spread by human migration and trade. 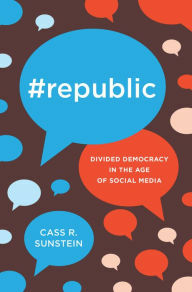 The author ties all of these points together with solid impact to deliver a very solid first 200+ pages. Lizzie Borden -- just hearing that name makes most people shiver. What happened on that fateful day in 1892 continues to fascinate even in the year 2017. But still to this day, no one is 100% sure exactly what happened, and Lizzie herself was never convicted of the brutal murder of her father, Andrew Borden, and his wife, Abby. 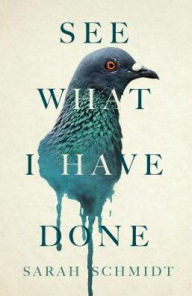 Sarah Schmidt's See What I Have Done attempts to make sense of the gruesome event in Fall River, Massachusetts. The story goes back and forth in time and is told from four viewpoints: Lizzie's, her sister Emma's, housemaid Bridget's, and perceived stranger Benjamin's. The strongest voice here is Bridget's, who offers a "fly on the wall" perspective that's the most interesting. Schmidt strongly emphasizes the senses in her writing, which works in some instances but seems to bog down the novel in other ways. For example, her obsession with minute details such as rotten mutton stew makes the book lose momentum, at least for me. Schmidt is surely a talented writer, but I'm not understanding the rabidly high reviews for this one (as they say in books, to each his own). It's a solid debut novel but not a slam dunk.